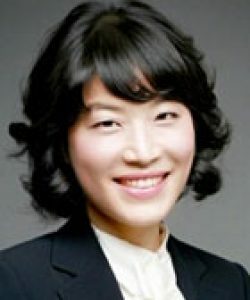 Dr. Hyeran Helen Jeon is an Assistant Professor in the Department of Orthodontics at the University of Pennsylvania School of Dental Medicine. Immediately after her graduation from the Doctor of Science in Dentistry (DScD) and certificate program in Orthodontics at Penn, Dr. Jeon joined the faculty at Penn. Her main research interests are: (1) bone remodeling, (2) wound healing, and (3) maxillary expansion using temporary anchorage devices (TADs). Since her DScD, Dr. Jeon has been strongly involved in student research mentoring including 1 MSOB student, 4 Orthodontic residents, 5 dental students and 3 undergraduate students. With her clinical background in both Orthodontics and Periodontics, she teaches both predoctoral and postdoctoral students at Penn. Dr. Jeon currently practices Orthodontics at the Penn Dental Family Practice at Locust Walk.